Protect your entry way and front door by installing a beautiful storm or screen door on your home. For the best options available to homeowners in New Hampshire, southern Vermont, northern Massachusetts, and southern Maine, turn to the professionals at Clear Choice Home Improvements. We are a family-owned and -operated business that prioritizes placing the needs of each individual homeowner at the forefront of our installations. We proudly offer products from the industry leaders at ProVia because we truly stand by the quality of their doors and back up all of our work with a lifetime warranty. The storm doors that we offer will add extra protection to your home that will leave you better protected against the elements. 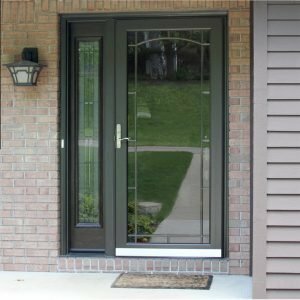 One of the main benefits of receiving ProVia doors from Clear Choice is that they are aesthetically appealing and won’t detract from the appearance of your entryway like many other screen or storm doors do. In fact, our products are available in many stunning styles that will enhance the appeal of your home’s entrance while simultaneously allowing you to utilize your HVAC system less by letting in the natural breeze when the weather allows for it. What’s more, thanks to the solid aluminum construction of our products your entryway will be shielded against even the worst of weather conditions. To find out more about the impressive screen and storm doors that we offer to homeowners in the New England area, contact us today to learn more. Make sure to ask about the financing options we offer to all qualified homeowners.